Matthieu James has updated his popular Faenza and Faience icon sets with many new icons. 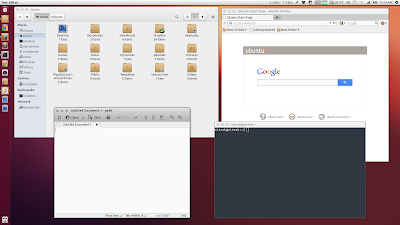 He has also released a new Faience GTK theme and its looks absolutely beautiful with Ubuntu 12.10 (supports both Gnome Shell and Unity). You can then use Gnome Tweak Tool to switch themes. I hate to be that person, but what theme are you using?